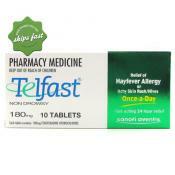 Telfast 60mg 20 pack is a hay fever and allergy tablet which is sold in New Zealand, It is known as Allegra in the United states, and is a non drowsy antihistamine which provides 12 hour protection from the symptoms of hay fever and allergies. 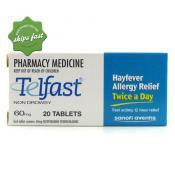 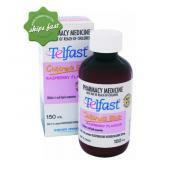 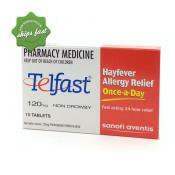 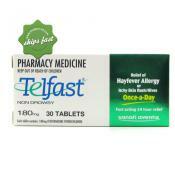 Telfast is a hay fever and allergy tablet we stock in New Zealand, Also known ad allegra in the united states. 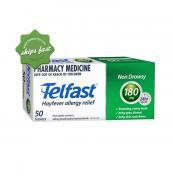 Telfast has the main active ingredient as Allergra, it is just under a different brand name in New Zealand. 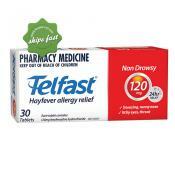 Telfast 120mg 30 pack is also known as Allegra an 24 hour slow release hay fever and allergy antihistamine tablet which is a non drowsy and provides 24 hour protection from the symptoms of hay fever and allergies.